Dr. Rojas and his caring staff at Bella Smiles have carved out a new standard of excellence in the field of dentistry, driven by honesty and integrity. He is committed to providing you, our valued patient, with easy-to-understand information for making an informed dental decision, specific to your care. Once you’ve made a decision in your own time, Dr. Rojas will customize your dental procedure(s) for attaining the best possible outcome with long-term benefits. La Quinta’s Favorite Full-Service Dentist! Dr. Rojas graduated from the University of Illinois College of Dentistry in Chicago and has been practicing all phases of dentistry for the last 30 years. 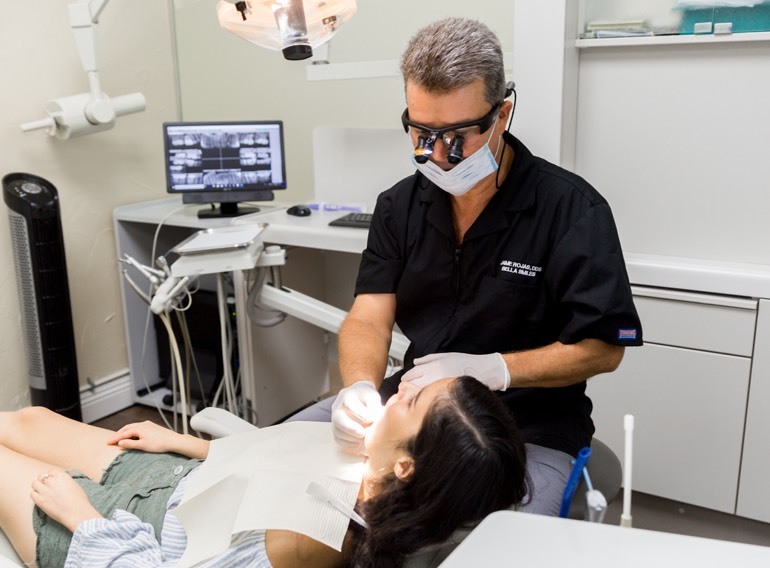 He has completed certified programs in orthodontics, dental implants, full mouth reconstruction, root canal therapy, pediatric dentistry, periodontics and oral surgery. Dr. Rojas is a member of the American Dental Association, Academy of General Dentistry, United States Dental Institute, and the Dental Organization for Conscious Sedation. Dr. Rojas’ warm, inviting and caring demeanor is apparent within minutes of meeting him, inside or outside of the office. He and his wife Maria E. Moya, MD are proud residents of La Quinta. They are avid tennis players and are active within the desert’s tennis community. They are also dedicated parents to their daughter Isabella, whom the practice, Bella Smiles, was named after!